Browse and shop art collections created by J Vincent Scarpace. 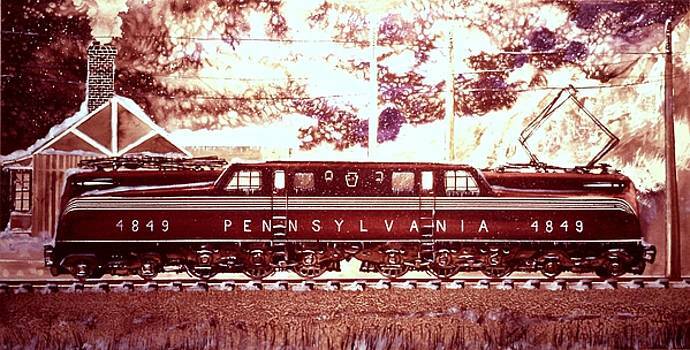 Features the original railroad art of J. Vincent Scarpace, Artist. J. Vincent painted in this motif between 1993 and 1995. His focus as a subject matter was steam-era (1900's - late 1950's) railroad. Often, his works earned praise for their detail, use of medium, and realism depicted. Enjoy.